Today please welcome Beth from Beth's Book-Nook Blog, who's here to dish on one of her favorite cozy mystery series, The Maggie Hope Series by Susan Elia MacNeal. She even had a chance to interview MacNeal about the series! Take it away, Beth. 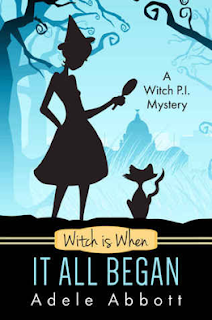 Today I was ask to do a guest post for BOOK BLOGGERS INTERNATIONAL, so I’m thrilled to be here to write about one of my very favorite genres: cozy mysteries! 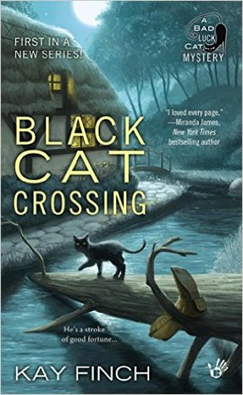 I’m a huge fan of cozy mysteries — those fun reads that catch you and draw you in, but are never too scary or violent or cruel. I’m also a big fan of mysteries that take place long ago. The MAGGIE HOPE series by Susan Elia MacNeal is a wonderful series of novels, following the adventures of Maggie Hope, a WWII code breaker and British government worker. Maggie has all sorts of interesting things happen to her, all the while dealing with blossoming (and withering) romances, friends and relationships with interesting people, a unique family situation that could call for a flow chart while reading, and her own beloved cat. There are currently six Maggie Hope books – with THE QUEEN’S ACCOMPLICE being the latest one (all reviewed on my blog: http://www.drbethnolan.wordpress.com). 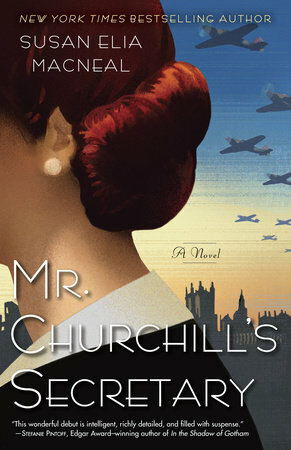 DESCRIPTION: Spy and code-breaker extraordinaire Maggie Hope returns to war-weary London, where she is thrust into the dangerous hunt for a monster, as the New York Times bestselling mystery series for fans of Jacqueline Winspear, Charles Todd, and Anne Perry continues. I never grow tired of Maggie adventures and I find Susan’s research to be startlingly in depth and on target. I recently had the opportunity to ask Susan MacNeal a few questions. I am friends with her on Facebook and enjoy her posts (we actually have sons the same age with similar interests as well). Susan was gracious enough to send me some insider info that I can share with you readers about how she came to write about Maggie Hopeand her adventures. 1) How did you come up with the idea for Maggie Hope and the series? Actually, I can thank the Muppets for the Maggie Hope series! Let me explain—my husband is a puppeteer for Sesame Street and the Jim Henson company, and he starred as Bear in the Disney Channel show Bear in the Big Blue House. Well, it was huge in London, so we got to travel there. Considering myself challenged, I set out the next day, through a horrible snow storm (I’m from Buffalo, so it didn’t slow me down). The museum, set in the underground, concrete-ceiling-protected bunker from which Winston Churchill and his staff ran World War II, looked much as it did during the war. Walking the same hallways that the Prime Minister himself trof was awe-inspiring. And it was a catalist for writing the book. I knew I had to write about the people of the War Rooms, a woman working in the War Rooms—and specifically a young woman, working as a secretary, in the War Rooms. 2) How did you research each novel (as they are meticulously researched!)? Well, I love to travel to the places in question and do as much first-hand research as I can. I also love to talk to people who lived through World War II. I was privledged to correspond with Mrs. Elizabeth Layton Nel, who was one of Churchill’s wartime secretaries. And one of my friends and editors is a woman who lived through the Blitz in London as a child. Then there are books, of course (first person accounts are best), documentaries, and newspapers and magazines from the time. I love to research! 3) How many books do you plan to have in the series? 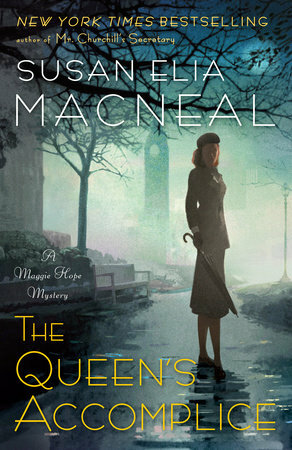 Well, THE QUEEN’S ACCOMPLICE (Maggie Hope #6) is just out and made the USA Today- and Publishers Weekly-bestseller lists, as well as a finalist in Goodreads Best Books of 2016 best mystery/thriller catagory. I’m just now finishing up THE PARIS SPY, the next book in the series, slated for publication in summer ’17. And I’m under contract for books #8 and #9 with Penguin Random House. Love writing these books and have lots and lots of stories to tell! THANK YOU, Susan, for answering my questions! All available from Penguin Random House Books! 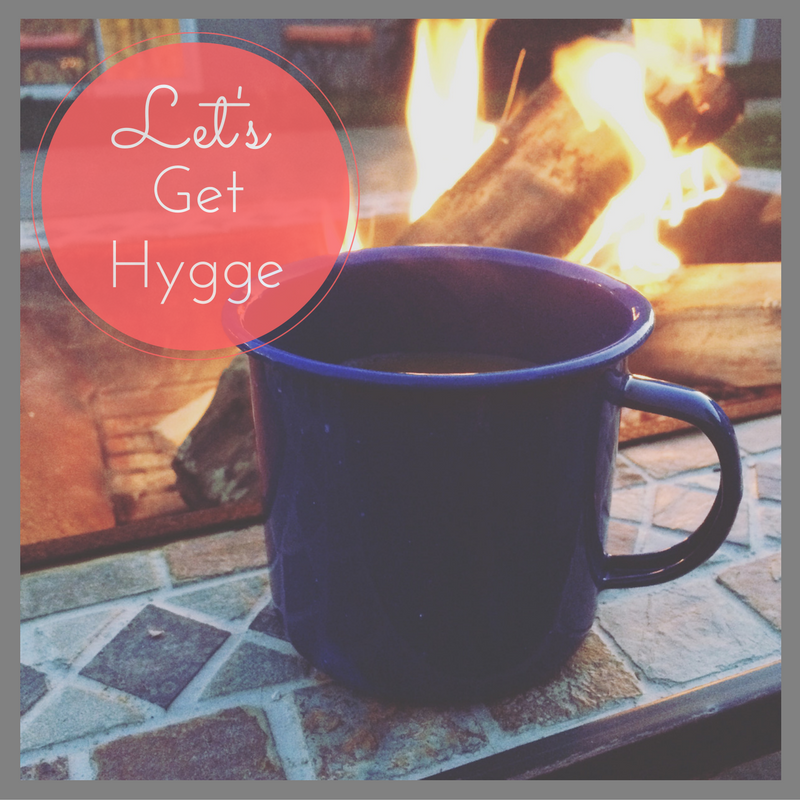 Thank you for letting me guest post today at Book Bloggers International. Please stop by my blog at Beth’s Book-Nook Blog: http://www.drbethnolan.wordpress.com or find me on Twitter at @BethsBookBlog and on Litsy at BethsBookBlog! Today please welcome Uma from Books, Bags, Burgers. She's talking about her favorite cozy mysteries of all time. Take it away, Uma! As a kid, books were my best companions and they still are! Being the only child, I spent most of my time at home reading books. My favourite genres of the moment always vary. Last month I devoured science fiction and horror like crazy and now I’m chin deep in Dark Fantasy but there is one genre I can read any day regardless of my current favourite genre – cozy mysteries! 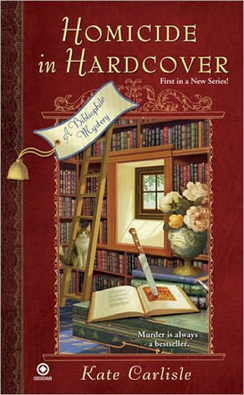 Today am gonna share with you all my favourite cozy mysteries through the years. I first read Enid Blyton books 13 years ago and I still feel all wrapped up in warmth and comfort when I read her books. The delicious food that the Famous Five eat on Kirrin Island, the amazing disguises that Fatty puts on(The Five find-outers) and the cozy shed where the Secret Seven hold their meetings will forever be a part of my imaginary world. 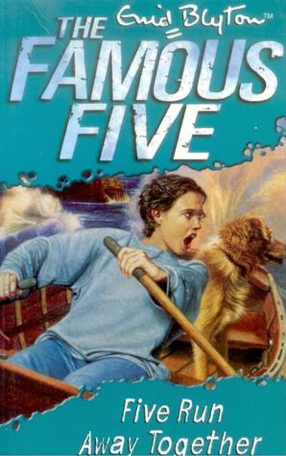 This particular Famous Five story is my favourite as it is not just a pretty intriguing mystery but also a beautiful story of friendship and family. This book in a simple manner shows the strong friendship that exists among the cousins. 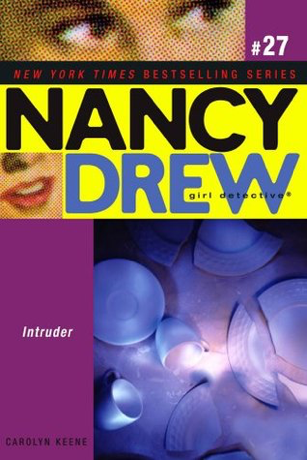 I read my first Nancy Drew mystery in sixth grade and Nancy became my idol. I wanted to be like her and solve mysteries. I wanted to be part of the well balanced trio (Nancy, Bess and George). While the Nancy Drew Files were a bit serious, the Nancy Drew: Girl Detective series were the perfect fun mysteries to curl up with on a monsoon day! This mystery is one of my favourites as it has a Jane Austen themed Tea party and lost fortunes! Doesn’t that sound like such a good, old fashioned mystery? I remember really wanting to eat the tarts that Mrs.Fayne prepares for the tea party! 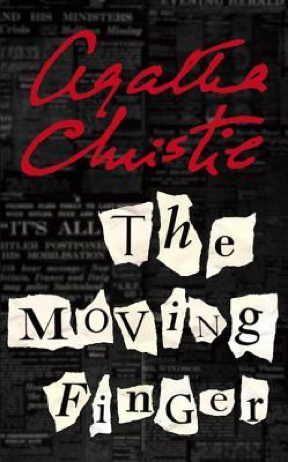 Throughout my High School years I loved the mysteries that Agatha Christie created. While my favourite character of Agatha Christie’s is Hercule Poirot, her ‘cozy mystery’ character is definitely Miss Marple! The kindly old lady who uses the nuances in human nature to solve seemingly unsolvable mysteries. This story is one of my favourite Miss Marple stories. It is slightly different from the rest of the series in that Miss Marple is present only for a short time in the story. 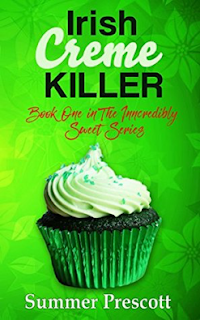 She comes into the story towards the end and solves the mystery with ease. This book shows how human nature is such a giveaway for people’s actions. 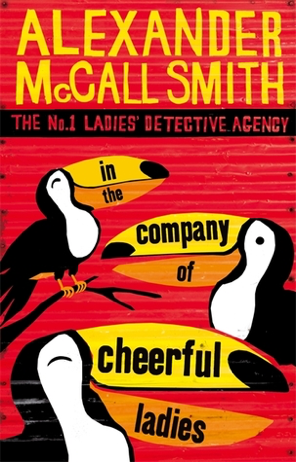 More recently I got to see author Alexander McCall Smith at a literary fest and really loved his talk. I bought the first book in the series ‘The No. 1 Ladies’ Detective Agency’ (and got it signed by him by the way!!) and ended up reading it in one sitting. It’s in this beautiful place called Gaborone in Botswana where we meet Mma Ramotswe and many other endearing characters! This is such a simple story that made my heart feel all warm and fuzzy. The characters are endearing and interesting and while the mystery is not a thrilling one with chases and danger, it’s realistic and well...cozy. Thank you Tasha for having me at Book Bloggers International today! 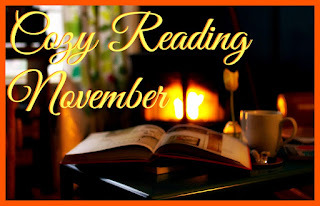 Feel free to visit my blog Books. Bags. Burgers. 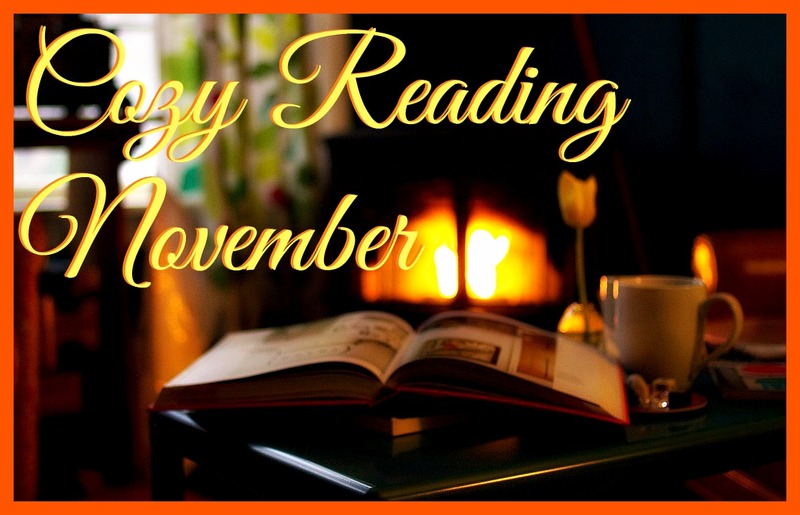 for Book reviews, Author Interviews, Excerpts and more!